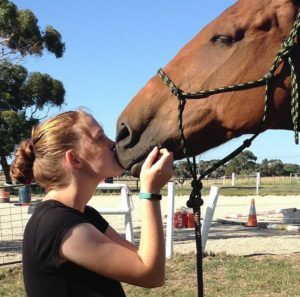 “Studying a VETiS course allowed me to decide whether I just like horses or if I actually want to get into the industry. I now know that I’d like to work in the equine industry as a career. Doing a VETiS is really worth the longer days. I’d like to tell other students that it gives you the opportunity to try out your passions, and also gives you more freedom and responsibility. I also learnt that the best way to do things with standards that I wasn’t previously aware of. It has also made me take up more responsibility,” said Katie.